One of my favorite games that released this year is Slothwerks’ dungeon crawling deck builder, Meteorfall. I put a lot of hours into it, climbing up the leaderboards to the top during beta, but pushed down a bit after the full release. I wrote a guide to help folks build the best decks for each character and reviewed the game here. Since then, the developer has been tirelessly working on a content update that includes a new playable character, a Necrodude named Muldorf. Besides a full set of cards for him, new cards have been added for existing characters and a whole bunch of rebalancing has been done to make bigger decks more viable. So I wanted to talk about some of the new changes, how to work with them, and my favorite strategies for Muldorf that got me to the top of the charts again. The biggest change you’ll notice besides new cards is that the Temple now costs money each time you remove a card from your deck. It’s free for the first one, but then five coins for the second, and fifteen for every card after that. This was obviously done to keep people from removing all but three or four cards from their deck. I have mixed feeling about it, but it is what it is and I’ll have to work on new strategies now. 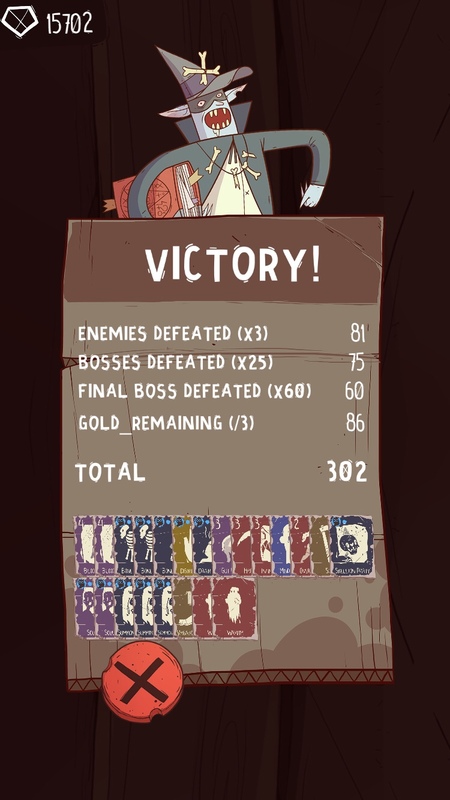 Mischief and Bruno will definitely hurt from this, as I got my best scores before by whittling them down to tiny decks. Thankfully, Muldorf starts off with a pretty good deck (once you unlock his bonus cards) and doesn’t really suffer from having a bigger deck. If anything, you might want more cards, as he has a lot of great ones that work well together. The shop has also been revamped, offering cheap cards that are worth buying so you don’t have to upgrade them at the Blacksmith. Tier 1 cards cost 3 coins now, Tier 2 is 6 coins, and Tier 3 is 10. Coins. Considering upgrading a Tier 2 card to Tier 3 costs 15 coins, those prices are a real bargain. They also come in groups that work well together, so sometimes you may want all three. Another notable change is the addition of gold coins as an option, but unfortunately it only seems to appear when you’re so low on cash you can’t afford even a cheap card at the shop. It does mean that very early on in the game you can spend the few coins you have, as you’ll likely trigger that option if you run down to zero. Also, when you level up, the Stamina upgrade was replaced by a card upgrade, making it a much more difficult choice to choose between that or health. I tend to mix it up, depending on my deck and how well I’m doing. But I usually go for health on the first opportunity. Then I’ll use a card upgrade to upgrade a Tier 2 to Tier 3 and save 15 gold. This is, of course, assuming I didn’t lose health due to some other random encounter. Just keep an eye on things and see if you can spare the extra health. Enemies also have new cards, and you might notice that characters like the Kooltist is extra mean now, so is Swampalina. And the final boss shares some cards with Muldorf, along with the hard hitters he already had. I think he’s more difficult to beat now, but it’s definitely not impossible. And with Muldorf, it may just come down to who has the biggest army. I’ll explain that in a bit. I also noticed the exploit was fixed that allowed you to quit the game when you didn’t like the choices you were given. Now, it saves after the cards are drawn, so quitting doesn’t change anything. And, while the GameCenter leaderboards unfortunately still list the old scores, the in-game score board was wiped so all players are on an even playing field. Anyway, now that we’ve gotten everything else covered, let’s talk about Muldorf strategies. I focus on building an army full of skeletons, wraiths and golems. I especially like the Wraith because it doesn’t just damage your opponent, but also heals you a bit. The Necrodude also has a number of cards that are good at draining the enemy’s stamina and then doing damage on top of that. Basically, he’s really good at preventing enemies from attacking. The only two cards from the opening deck that I upgrade are Drain Essence and Bone Armor. They’re both super useful throughout the game and moreso at higher tiers. 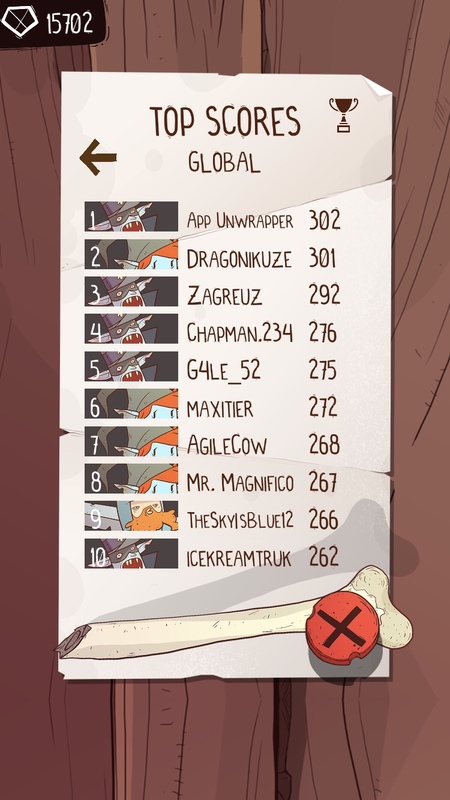 The rest can still do its job at Tier 1, and I try to take most of my treasure from chests after the first or second bosses. That way they’re already Tier 2 or 3 when I get them. The Shop can be useful for Tier 2 and 3 cards as well. Early on, I still usually take a potion early on if offered, as I can get rid of it easily and not dilute my deck too much with Tier 1 cards. If you’re just trying to win and not worried about a high score yet, feel free to spend more money on upgrades. But if you want a high score, you’re going to need to be very frugal and spend almost nothing. I’ll add more as I think of it, but this should give you a good start. I also plan to make a video of playthrough with Muldorf, so keep an eye out for that. I’ll add it here once it’s uploaded.